To determine who is responsible or liable for a Kansas City car accident, several factors must be considered. Perhaps the most obvious whether a driver violated state or local law. Typically, if a driver breaks a traffic law and a crash happens, that driver will be considered to be at fault for causing the accident. Of course, if both drivers are found to have violated traffic laws, it becomes more difficult to prove that only one party is liable. Instead, they may be found to have both contributed to causing the accident. Rear-End collisions. In most rear-end collisions, the driver who crashed into the rear of another vehicle is held responsible. There are exceptions to this rule. For example, if the crash involves multiple vehicles in a "chain reaction", the driver who initiates the crash may be held liable for causing the entire crash. In addition, if the front driver makes a dangerous maneuver or illegal turn, the rear car may not be entirely at fault. Left Turn or U-Turn accidents. Accidents involving left turns or U-turns are often the fault of the driver making the turn. This is because the turning vehicles are supposed to yield to oncoming traffic before making the turn. Speeding, reckless driving. When a driver speeds, drag races, ignores red lights or passing illegally, they are violating the law and your right to safety. If they are cited by the officer at the scene of the accident, this will usually result in them being found at fault for causing the collision. Distracted driving. The most common type of distracted driving is cell phone use and texting while driving. However, distracted driving can also result from eating, grooming, dressing, talking to passengers, or not paying attention to the road. Even if police report does not state that the cause of accident was distracted driving, our legal team can take certain steps to determine whether this was a cause. Drunk or impaired driving. Driving under the influence of alcohol is illegal puts thousands of innocent people at risk every day. The criminal prosecution of the DUI is separate and apart from the civil suit for damages and injuries caused by the drunk driver. However, the fact that a driver was impaired or drunk will often result in them being at fault for the accident. After a Kansas City accident, it is very important to gather evidence and document all the details about the crash because it may become difficult later to prove what actually happened. You want to be able to support what actually happened and how you were not at fault in an accident. seek immediate medical attention for any injuries. You should also notify your insurance company about your car accident. If you were injured or have questions about what to do next, you should also contact a qualified Kansas City car accident lawyer for a free consultation. Unfortunately, car accidents are all too common on highways and roads in the Kansas City metro area. If you want more information about car accident claims in Kansas City or elsewhere in Missouri and Kansas, please download a free copy of our book, Crash Course, from our website. 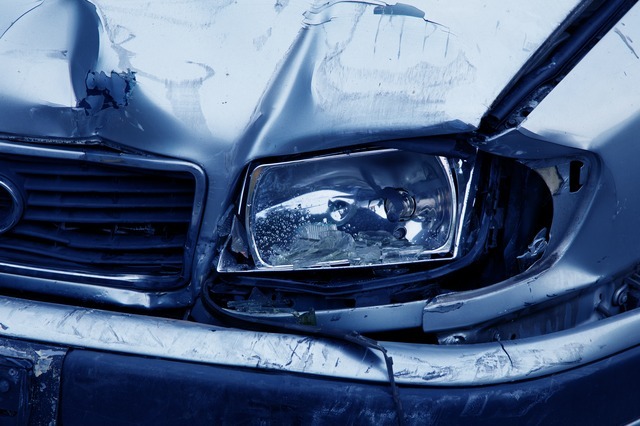 If you are injured in a car accident, the best way to protect your legal rights and ensure you are treated fairly by the insurance company for the at fault party is to speak with an experienced car accident attorney. We are happy to provide guidance in how to find the right car accident attorney and to provide a free consultation. Our Kansas City car accident lawyer can answer your questions and help you determine the best path forward. Contact us today for a free and confidential consultation by calling (816) 203-0143 or by filling out the form below. We would be honored to assist.